On Thursday, Oct. 12, Carl Zimmer, The New York Times speaker and columnist, spoke to a packed crowd at Stony Brook University’s Charles B. Wang Center about the consequences of fake news. He discussed the power of fake news in affecting the credibility of the science community — especially in regard to climate change. Zimmer is a national correspondent for STAT News, which focuses on health, medicine and scientific discovery, as well as a three-time recipient of the American Association for the Advancement of Science (AAAS) Kavli Science Journalism Award. His lecture was part of the university’s Provost’s Lecture Series, which hosts several speakers each month across a multitude of professions. This past summer, the AAAS, an international nonprofit organization dedicated to advancing science for the benefit of all people, concluded in a study that 92 percent of Democrats who were surveyed believed in global warming, compared to 52 percent of Republicans. Of that 52 percent, only 24 percent identified human activity as the main source of global warming. “The planet getting warmer is not something to be debated about,” Zimmer said. Throughout his lecture, he referred to data from several AAAS studies. The AAAS studies agreed that all evidence points to human activity as the overriding cause of global warming. “To date, the Trump administration has sought to reverse more than 50 environmental rules, according to an analysis by The New York Times,” reporters Nadja Popovich and Livia Albeck-Ripka wrote in an Oct. 6 article. “Politicians are trying to shape the way that people get the news about science,” Zimmer said. He emphasized that it is a journalist’s duty to highlight credible sources when reporting and to avoid untrustworthy sources and/or data. “There’s a difference between a scientific debate and two people yelling at each other on TV,” he said. Outside influences aside, individuals often struggle to combat their own biases. Zimmer said that people are more likely to retrieve information from like-minded sources. Scientists have been trying to map out how people of different political persuasions share information, he said. Lamar Smith, chairman of the U.S. House of Representatives’ Science, Space and Technology Committee, has accused scientists of “making claims that don’t support their evidence,” Zimmer said. In Zimmer’s eyes, Smith has made it his duty to try and get people to believe that science is fake news. Smith has singled out misleading stories and misinterpreted data to draw people’s attention, and has used Breitbart News for much of his information. “This is a serious problem,” Zimmer said. Social media platforms like Facebook pose another challenge since they allow users to broadcast thoughts that may or may not be factual to a large audience. Zimmer said it is dangerous for people to feed off their emotions when the world is at their fingertips. “Facebook and Google somehow need to be forced to take far more responsibility for what they are letting flood through their channels,” he said, adding that it was important for news consumers to proceed with caution as well. Zimmer applauded Stony Brook University on its ability to pioneer a news literacy course, designed to teach students how to analyze news sources and determine their credibility. The program has, since its inception, expanded to 10 countries and 20 universities and is currently in the process of adapting to high school and middle school curriculums across the U.S. Nevertheless, Grasso said this new line of thinking could be corrected with the proper instruction. “This has afforded us much more opportunity to discuss the following in an interdisciplinary and authentic way: not just finding any source, but finding a valuable, credible, verifiable source, tips and tricks to determine the difference between real and fake information, the important and rhetorical difference between primary and secondary/tertiary sources, the use of cross-checking, fact-checking, and corroborating evidence, etc,” Grasso said in regards to Vandermeulen High School’s new approach at news literacy. “Again, this isn’t their fault; it’s something that they aren’t inherently exposed to in their daily lives and our education system has only recently shifted to address this deficiency,” she said. 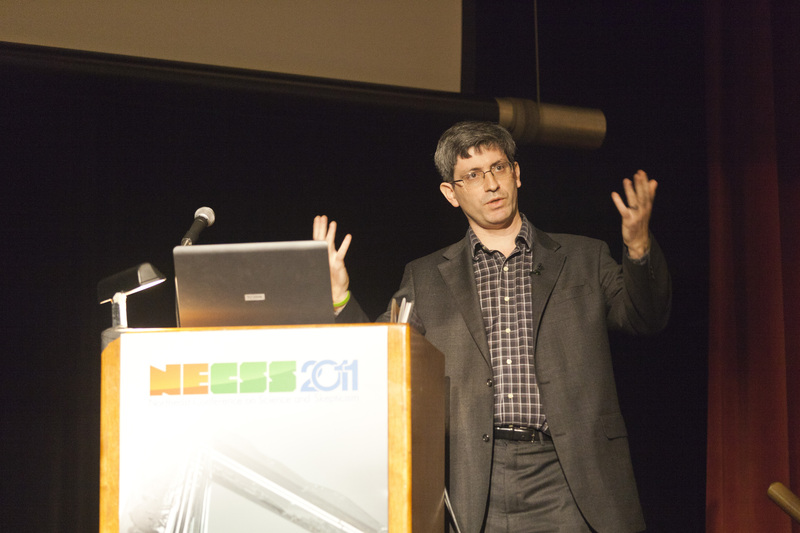 Fake news has the ability to ignite a large-scale population of people who deny commonly held beliefs, like the Earth being round and the existence of climate change, Zimmer said. Zimmer said he felt optimistic that people are beginning to recognize the problem as digital literacy is spreading throughout the world.